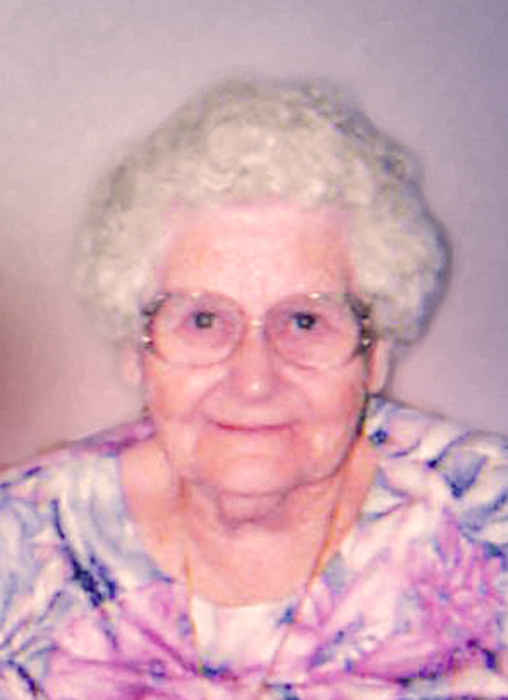 Helen L. Howard, 97, of Westville, passed away at 7:45pm, Saturday, April 6, 2019, at Gardenview Manor, Danville. She was born on April 19, 1921, the daughter of Walter Scott Pate and Mergie Lou George Pate. She was married to Verlin Howard on September 7, 1943 until his passing on January 13, 1966. She was also preceded in death by her parents, Walter & Mergie, her sisters, Barbara Pate Carson & Bonnie Pate Howard, and her brothers-in-law, Oscar Howard & Harold Howard. Helen is survived by her sister, Lois Pate Howard of Westville, IL, and her brother, Richard (Teri) Pate of Westville, IL. Helen was a homemaker until Verlin’s death and then was employed by the Danville Veteran’s Administration Hospital as a Certified Nursing Assistant for 23 years until her retirement. She was a very caring person who loved helping those in need. Although she had no children of her own, Helen helped raise several other children and babysat for many more. She was known as a very loving person that had strict values and high moral character and demanded the same from others. Helen was very close to her family and had a very strong connection with two of her great nieces, Jennifer Howard Pulgar & Mandy Howard Wagner, and her niece, Lori Huebner. Her special friends also included Gary, Danny, Tony Moore, and Charlie Johnson. She was a proud member of the Westville First Church of Christ for many years. Her hobbies included crossword puzzles, watching children, visiting and helping family & friends, and sitting on her front porch. A celebration of Helen’s life will be held at 11:00am, Friday, April 12, 2019, at Sunset Funeral Home & Cremation Center in Westville, located at 414 S. State St., with John Mincy officiating. Visitation will be held 4:00pm to 7:00pm, Thursday, April 11, 2019, at the funeral home. She will be laid to rest in McKendree Cemetery, Westville. Memorial donations may be given in her name to Westville First Church of Christ. Please join her family in sharing memories through her Tribute Wall at www.sunsetfuneralhome.com.